Tune in to our weekly radio show, The Easy Organic Gardener with Sheri Frey, for expert advice on organic gardening and natural pest control! Time: Sundays at 11:00 AM, Central Time. Since 1979 Sheri has been co-owner and vice president of ARBICO Organics. ARBICO Organics produces and markets organic and natural products for home, business, garden, lawn, farm and pets. Products include beneficial insects and organisms, fertilizers and soil amendments, weed and disease controls, composting supplies, insecticides, critter controls, horse care, traps, lures, pheromones, botanicals and more. 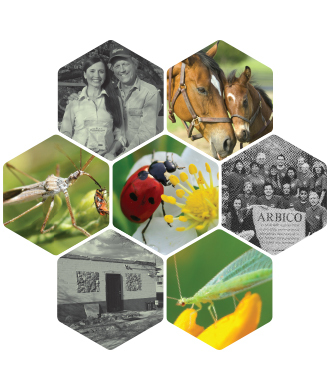 ARBICO Organics specializes in Low Input Sustainable Agricultural Techniques emphasizing organic farming inputs, bio-intensive pest controls, pro-environmental fertilizers and plant foods, composting, weed and disease control, as well as preventive management. When the proper nutrients and minerals are made available to the soil, it will provide the food that gives life to the plant and ultimately to us.